Cummins Inc., a global energy leader providing electrical power generation systems and complementary business units that design, manufacture, distribute and service diesel and natural gas engines and related technologies, is taking to the road today from Cummins Johannesburg, embarking on a national City to City Tour of South Africa in a highly visible red Cummins Power Truck. Headquartered locally in Kelvin View, Johannesburg, the power giant will heading for Durban, Bloemfontein and Cape Town to demonstrate innovative generator products that supply power solutions to ensure productivity in the workplace and at home. Cummins, with a vast international footprint that services customers in over 190 countries, has previously used ground breaking methodologies to introduce products to customers. Going on tour to demonstrate innovative products is not new to the company; however, this is an inaugural event for Southern Africa. At each destination customers will have the opportunity to interact with the technology on display in the eye-catching bright red 17 running meters of Cummins Power Truck with its entire one side fitted with reinforced glass. The other side of the vehicle poses as a moving billboard making the vehicle an exceptional moving showcase. The truck presents a roving display, beautifully showcasing two highly sought after dependable and reliable Cummins generators, the C90D5 Diesel Generator and the C315N5C Gas Generator. The International 9800I Truck is installed with a state-of-the-art Cummins 475 ISX (475 horse power) engine with a fuel capacity of 900 litres of diesel per tank. Cummins power generation experts will be on hand at the events to network and engage with customers and share technical information and energy solutions available. “Traversing some 3600km around the country, one will be hard pressed not to notice this moving showcase of striking delight. Innovation is more than a word at Cummins, it is also a value that we live by. It’s all about unlocking and unleashing new ways of thinking, doing and delivering against a background of continuous improvement. We are constantly considering new ways of reaching our customers in a meaningful and memorable manner. 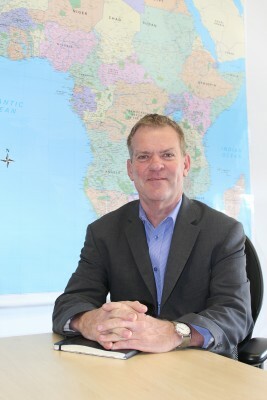 We want Cummins to be the product of choice,” says Kenny Gaynor, Power Generation Director – Cummins Southern Africa. “Our products are world class, and therefore our marketing efforts reflect this,” he concluded. 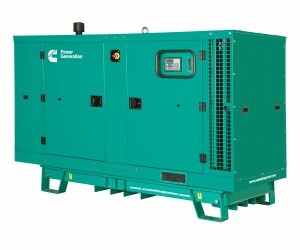 The Cummins range of diesel generators and engines is geared towards providing back-up power systems in small to medium and large applications; engineered to support a host of industries, fuel types and power ratings. The C90D5 Diesel Generator on display is a commercial generator set which is a fully integrated power generation system, providing performance, reliability, and versatility for stationary standby and prime power duty application. It features a Cummins heavy-duty engine with a rugged 4-cycle industrial diesel which delivers reliable power and fast responses to load changes. The second generator on display, the C315N5C Natural Gas Power Generator is a lean burn gas generator set with a fully integrated power generation system which utilizes state-of-the-art technology to provide optimum performance and efficient use of fuel for standby and continuous duty, CHP and peaking applications. Featuring a Cummins heavy-duty engine with a rugged 4-cycle lean burn gas combustion engine, the generator utilizes full authority electronic engine management and monitoring technology. Explains Gaynor, “There are two critical benefits which far outweigh the costs of investing in a back-up power system. Firstly, operations and processes continue seamlessly whether in a manufacturing environment or in a hospital theatre on the operating table. Secondly, critical safety processes depend entirely on the presence of a reliable uninterrupted power supply. 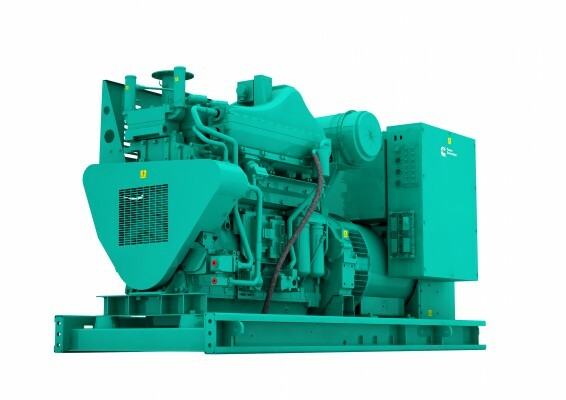 Natural gas powered gensets are a more sustainable solution to industry-standard diesel. Natural gas is a methane-rich, naturally-occurring gas which is more cost-effective than other alternative energy sources such as wind and solar power. Cummins actively innovates and engineers new products; partnering with other technology developers such as solar to create power generation in hybrid platforms that can reduce fuel costs and contribute to a greener and sustainable environment. The company’s business model is to design and supply power systems that complement a country’s national grid and are immediately and automatically available in the event that its supply is interrupted for any reason. Electricity grids’ three critical components need to be up and running simultaneously: Generation, Transmission and Distribution. Gaynor elaborates, “Cummins is able to supply excellent back-up products to ensure continued power supply during challenging conditions. 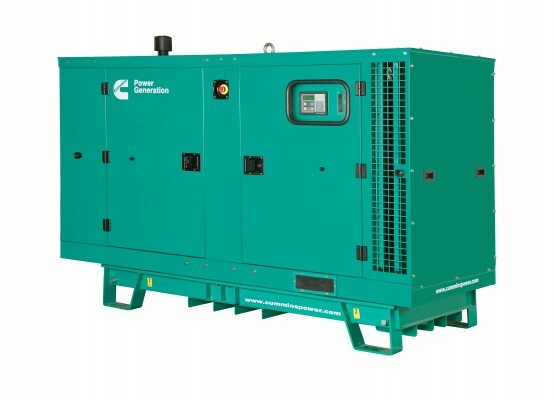 A key element of power generation systems is the continuous, reliable and ready supply of parts for ongoing maintenance and repairs, making the choice of OEM to supply the generator of critical importance. Cummins products are all backed by a comprehensive warranty with professional support from the Worldwide Dealer Network. Technical presentations and discussions led by Cummins power generation experts Kenny Gaynor, Warrick Gibbens and Nalen Alwar will provide engaging and interesting networking opportunities for customers to learn about the Cummins products, energy solutions, off-the-grid power options and new technologies. A focus on Gas technology, various Projects and Industry Applications will be effected by Nalen Alwar, Warrick Gibbens and Kenny Gaynor. Master of Ceremonies John Vlismas, South Africa’s popular stand-up comedian and jokester, will ensure the Cummins Power City to City Tour is both memorable and enjoyable. A national Spot The Cummins Truck online banner competition on digital news channels and Facebook will allow public engagement and interaction with The Cummins Power City to City Tour. Customers and the public are encouraged to monitor the URL http://media.ngage.co.za/cummins-power-tour-sa for information on the competition. Questions will be posted on the web page and answers need to be tweeted to @Cummins_Africa #SpotTheCumminsTruck. Fabulous prizes are up for grabs and all lucky winners will be notified by the company. News24, Fin24, FM Online, Business Day Live and the Cummins Africa Facebook page will provide direct links to the web page for quick and easy engagement. “The Cummins Power City to City Tour promises to be a one-of-a-kind in South Africa; providing technical promise underpinned by energy solutions to meet all our clients’ needs. Come and join us at our events, learn about Cummins, the Power of More, and how we can bring innovation and professional power generation expertise to you,” Gaynor concluded.